Our lounge is operated by Plaza Premium Lounge, a worldwide appreciated brand. The contemporary interiors have been designed by the Hong Kong star designer Kinney Chan of KCA Associates. Our lounge provides premium services including a rich buffet and signature drinks. 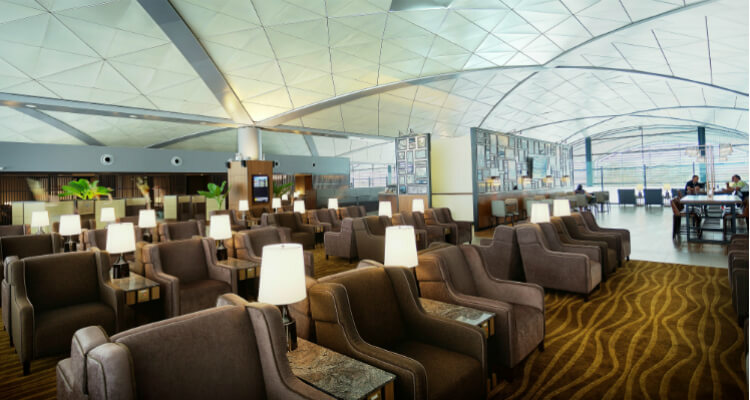 You may be entitled by your airline to use the lounge but you can also choose among our walk-in packages below and enjoy the lounge facilities. The generous and welcoming space includes private resting suites; luxurious shower rooms; a Wellness Spa created with the traveller in mind; a Champagne and Tapas Bar - with a wide variety of vintage and non-vintage brands to choose from; as well as a generous selection of freshly-made food and drinks.